LOW MILES - 15,251! 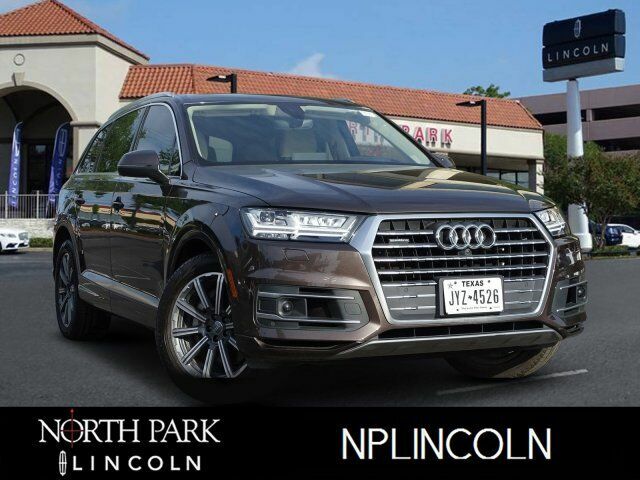 Moonroof, Nav System, Heated Leather Seats, Third Row Seat, All Wheel Drive, Back-Up Camera, Power Liftgate, Panoramic Roof, DRIVER ASSISTANCE PACKAGE, COLD WEATHER PACKAGE, PRIVACY TRUNK COVER READ MORE! Leather Seats, Third Row Seat, Sunroof, Panoramic Roof, All Wheel Drive, Power Liftgate, Back-Up Camera, Supercharged, Satellite Radio, iPod/MP3 Input, Aluminum Wheels, Keyless Start, Hands-Free Liftgate, Heated Leather Seats. Rear Spoiler, MP3 Player, Privacy Glass, Keyless Entry, Remote Trunk Release. PRESTIGE PACKAGE Heated Auto-Dimming Power Folding Exterior Mirrors, memory, Audi Virtual Cockpit, 12.3 inch LCD fully digital instrument cluster w/1,440 x 540 pixel resolution and two visual modes: classic and infotainment, Topview Camera System, Full LED Headlights, LED dipped and high beams, daytime running lights, static turn signals and all-weather light, 3D Bose Surround Sound System, Power Closing Doors, Audi Side Assist w/Pre Sense Rear, LED Interior Lighting Package Plus, center console contour, center console ambient controls, center console sides and RGB color technology, LED Interior Lighting Package, door insert, door inlay, contour, instrument panel contour and door pocket LED accents, Electric Tilt/Telescopic Steering Column w/Memory, Audi MMI Navigation Plus w/MMI Touch, DRIVER ASSISTANCE PACKAGE Audi Adaptive Cruise Control w/Stop & Go, traffic jam assist, Audi Pre Sense Front, Audi Active Lane Assist, High Beam Assistant, Traffic Sign Recognition, vehicle speed warning, COLD WEATHER PACKAGE 3-Spoke Multifunction Steering Wheel w/Paddles Heated Q-Design, Black Rubber All-Weather Floor Mats (Set of 4), Q7 logo, Heated Rear Seats, PRIVACY TRUNK COVER retractable/removable cover for cargo space.